The Axis war effort throughout the first half of the 1940s led to some incredible advances in submarine technology. That includes the anaerobic Walter turbine—a newfangled engine that didn't need oxygen to work. 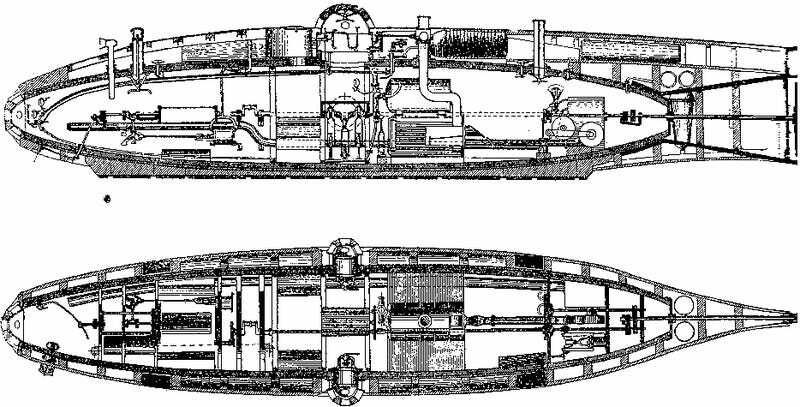 Even more incredible, these discoveries were not entirely new, but in fact more than 60 years old—the fruits of a Victorian-era engineer's labors during construction of the world's first powered submarine. Built by Spanish nautical engineer Narcís Monturiol i Estarriol of Catalonia, Spain, the Ictineo II is widely considered the world's first "true" submarine. Unlike contemporary attempts such as the Ictineo I, USS Aligator or CSS Hunley, which were human-powered and required snorkels, the Ictineo II propelled itself using a unique combustion engine that worked underwater. The Ictineo II was constructed of olive wood, measured 46 feet long, more than 6 feet wide, and stood nearly 10 feet tall when out of the water. In the water, she displaced 46 metric tons while providing 1,000 cubic feet of interior room. Compared to the Hunley, which was 4 feet tall at its highest interior point, this thing was downright roomy. Its propulsion system was a work of genius. In a closed system like that of a submerged vessel, a traditional combustion engine will quickly use up all of the available supply of atmospheric oxygen. So instead, Monturiol devised a solution that mixed zinc, manganese dioxide, and potassium chlorate to create a chemical heat source hot enough to boil the water of an attached a steam furnace and generate power for propulsion. The reaction also generated enough oxygen to support a two-man crew (the rest of that "roomy" interior was actually filled up with equipment). During the Ictineo II's maiden dive in May of 1865, she made it down to a depth of 98 feet—the perfect level for her intended use: ferrying local coral divers down to their harvests. She would make 20 more successful dives over her three year demonstration career until 1867. Unfortunately, finances were perpetually tight for the talented Spanish inventor—Ictineo II was financed (and only barely) after Monturiol wrote an open letter to the people of Spain and Cube seeking 300,000 pesetas in public support. Unfortunately, Monturiol was never able to really capitalize on his invention. The sub was repossessed by creditors in 1867, dismantled, and sold for scrap while Monturiol died penniless and forgotten. It would be another 60 years and two World Wars before his contributions to naval technology were rediscovered.